The Corporate Europe Observatory (CEO) is a non-profit research and campaign group whose declared aim is to “expose any effects of corporate lobbying on EU policy making”. It is based in Brussels. 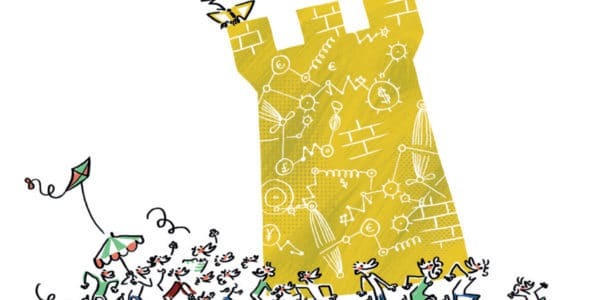 The role of tax planning intermediaries and accountancy networks sits at the heart of a deeply political issue, one fundamentally about justice, equity, and democracy. Financial opacity is one of the key drivers of rising global inequality. And the Big Four have a wider responsibility for fuelling financial instability and inequality. They had a key role in the financial crash of 2008, failing to ring the warning bell about banks they audited, signing off on their accounts just months before their collapse triggered years of austerity across Europe. 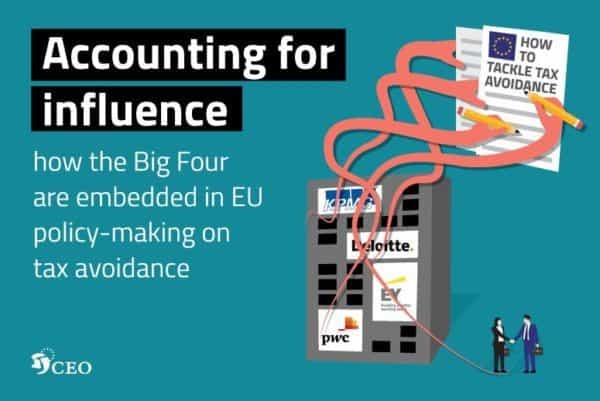 In this blog article, Corporate Europe Observatory’s Vicky Cann summarizes the findings of their new report “Accounting for influence” showing how the Big Four global accountancy firms are embedded in EU policy-making on tax avoidance. We pay our taxes. So why don’t corporations? Billions of euros are lost each year due to corporate tax avoidance, depriving public budgets of much-needed resources to fund education, health care, social services, and much more. A study for the European Parliament has estimated that corporate tax avoidance costs the EU between €50 billion and €70 billion a year – and could even be as high as €160-€190 billion. Given all the evidence of the role that accountancy firms like Deloitte, EY, KPMG, and PWC play as advisers that facilitate and profit from corporate tax avoidance, it is remarkable that they continue to be treated as objective and legitimate partners in policy-making circles. It is time to kick the Big Four and other players in the tax avoidance industry out of decision-making processes for EU anti-tax avoidance policy. This must start with recognising the inherent conflict of interest that lies in allowing tax intermediaries to advise policy-makers on how to tackle tax avoidance. Only then can an effective framework emerge which ensures public-interest tax policy-making is protected from vested interests.